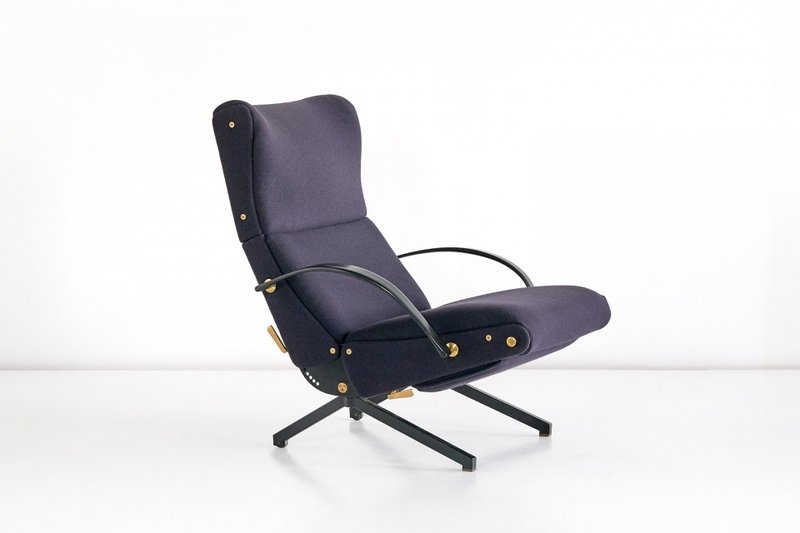 The versatile and comfortable P40 lounge chair was designed by Osvaldo Borsani in 1955. The P40 is an iconic example of 1950s Italian design. The chair can be adjusted into numerous positions. 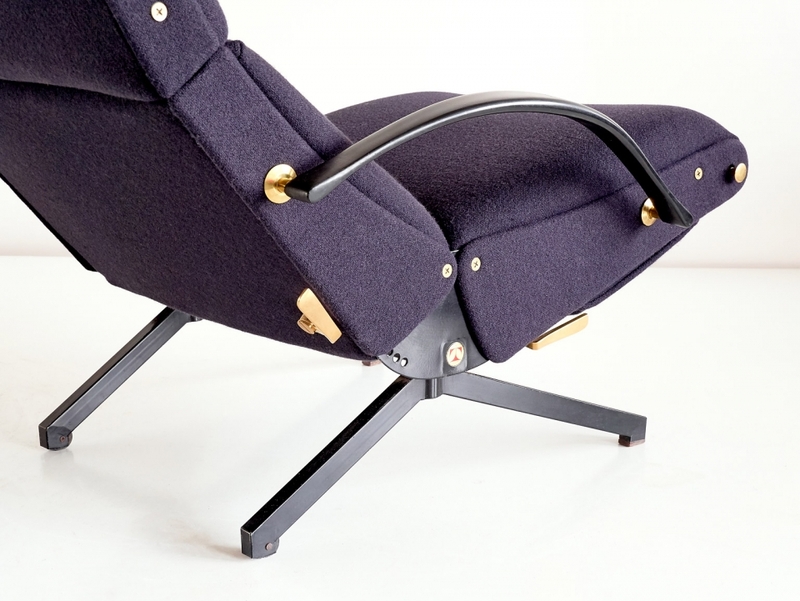 The back can be reclined in different angles, the headrest moves up and down, the flexible rubber arms can be folded away, and the chair features a flip-out leg rest with extendable metal footrest. The brass details and handles complete the design. The chair is marked with a red Tecno logo on both sides. This example produced in the late 1950s is in a very good condition, the chair has been upholstered in a navy blue Kvadrat Tonus wool fabric. Literature: Repertorio 1950-1980, Gramigna, p. 88; Osvaldo Borsani, Gramigna and Irace, p. 258-261; Tecno: A Discreetly Technical Elegance, G. Bosoni, P 56-61.